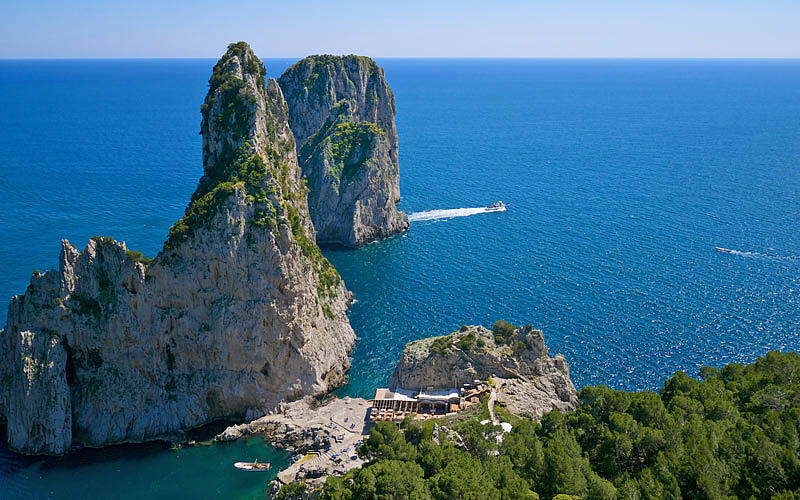 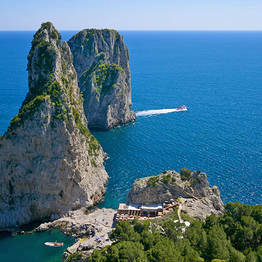 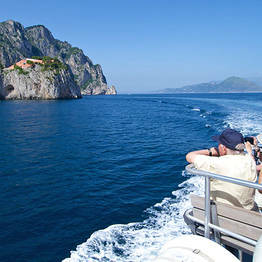 From Marina Grande to the spectacular Blue Grotto via Capri's iconic Faraglioni: this unforgettable (and affordable!) 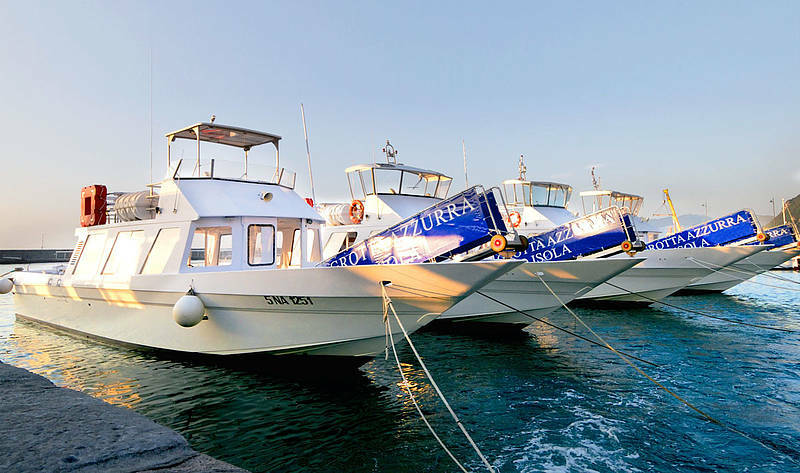 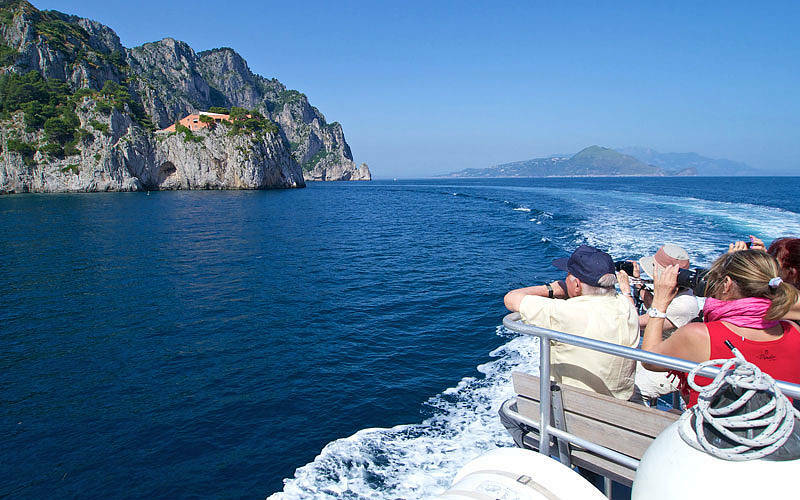 boat tour lets you admire some of the island's most iconic sights like the White Grotto, the Bay of Marina Piccola, and the Punta Carena Lighthouse. 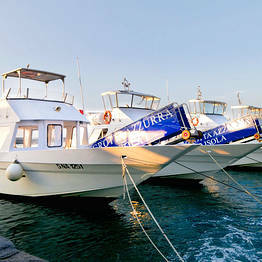 Boat transport from Marina Grande to the Blue Grotto with a stop (sailing east). 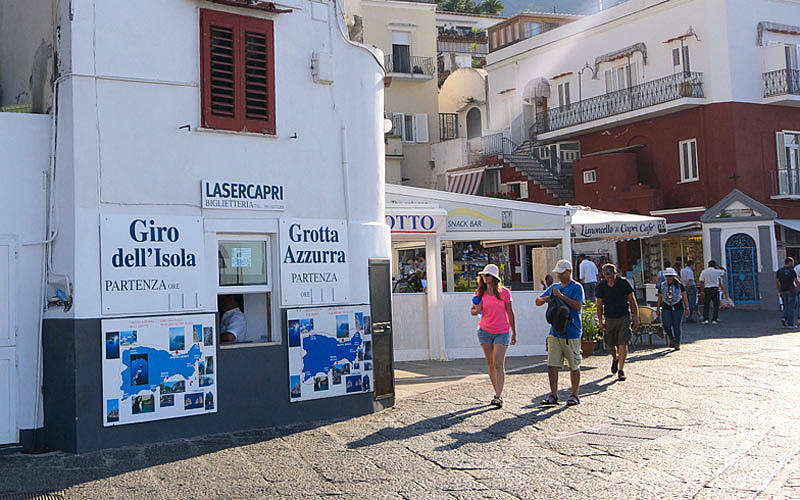 Sights: Punta del Capo with the Scugnizzo Statue, Tiberius' Leap, the White Grotto, Villa Malaparte, the Natural Arch, the Faraglioni, Marina Piccola, the Green Grotto, the Punta Carena Lighthouse, and a stop to visit the Blue Grotto. 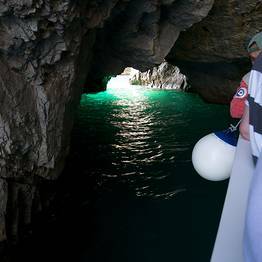 Tickets to enter the Blue Grotto must be purchased directly at the grotto entrance (EUR 15/per person). 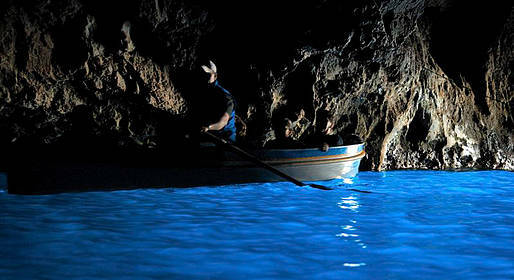 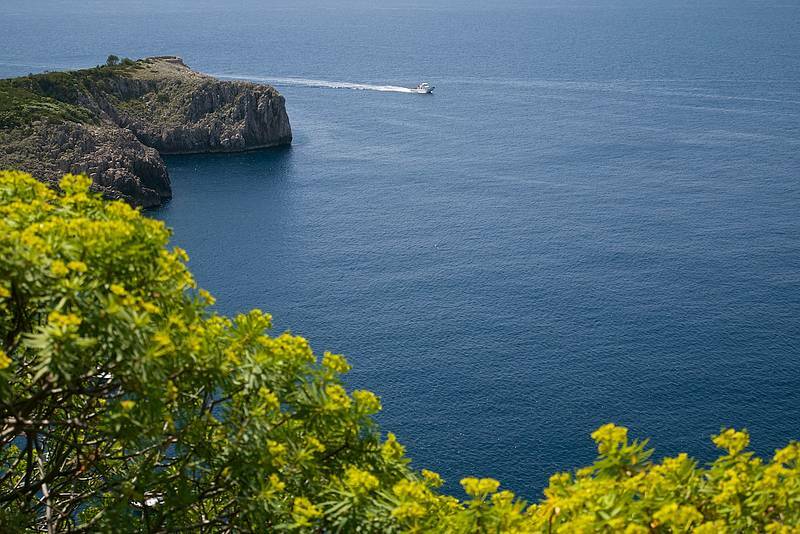 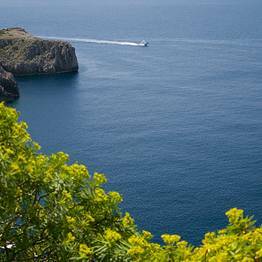 The Blue Grotto is a museum and visits inside are done via an authorized rowboat service. 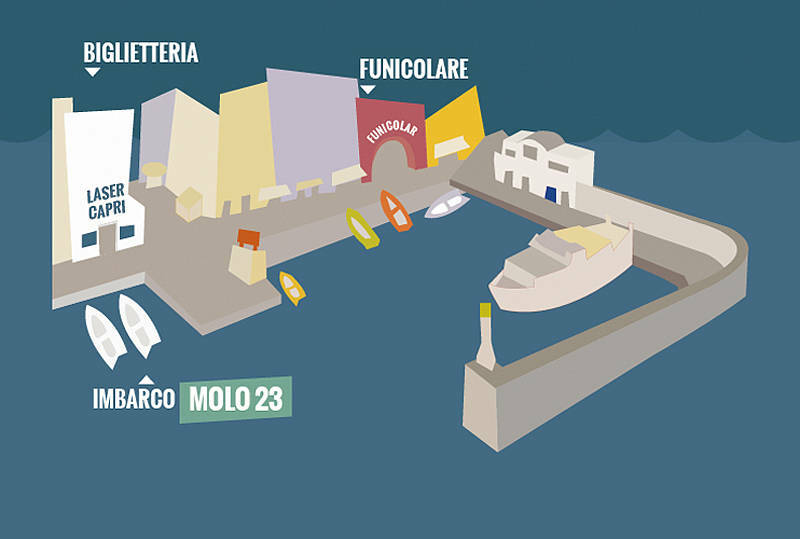 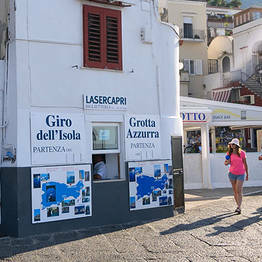 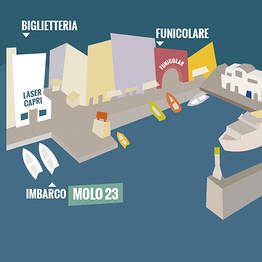 The meeting point for boarding is at pier 23 at the port of Capri (Banchinella pier). 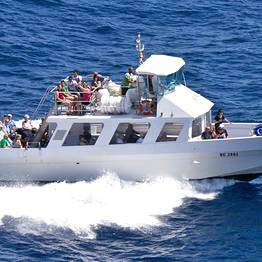 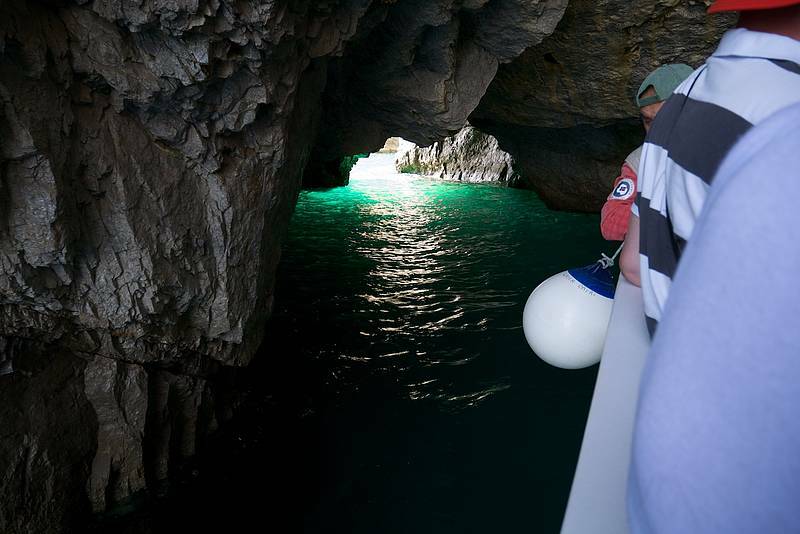 Boat tours of the island last for 1 hour + a stop to visit the Blue Grotto. 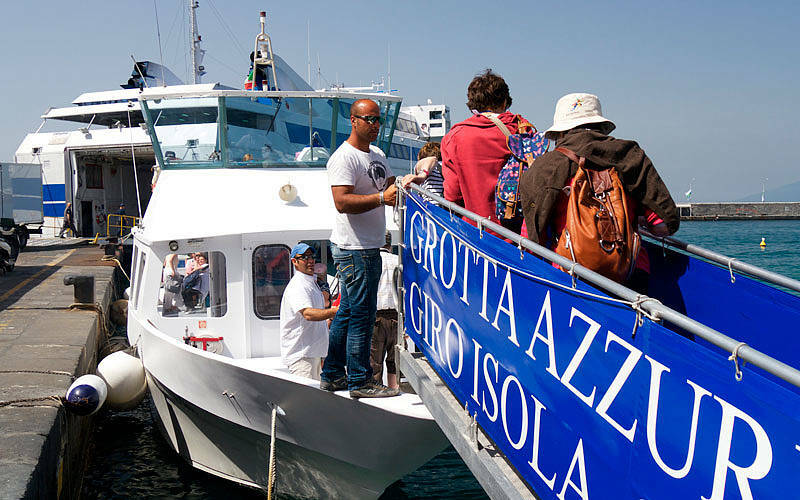 During the summer high season, the queue to entert the Blue Grotto can be more the 45 minutes and the crew may have to return to the port. 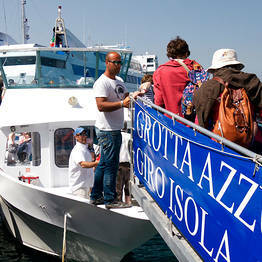 In that case, your ticket is valid for the next departure directly for the Blue Grotto.